Austin Patterson Disston Architects is a full-service architectural and planning firm with offices in Southport, CT (376 Pequot Ave.) and Quogue, NY (44 Quogue St.). Founded in 1982, the firm includes a staff of 23 people with 5 registered architects and 11 draftspersons. Examples of the firm’s built projects can be found throughout the country. Our concentration is in high quality projects in all fields of residential, institutional and commercial work with services that include design for renovation, restoration, and new structures, as well as site planning, master planning, interior design, and landscape design. Our design approach respects the integrity of both the built and natural contexts that make every building site unique. The partnership brings to each project not only a thorough knowledge and understanding of architectural precedent, but fresh and inventive design solutions that are both appropriate to a project’s context and responsive to the individual clients’ needs and aspirations in all its details. A recent AIA design award won by the firm includes a statement from jury member Terence Riley, Curator of Architecture at the Museum of Modern Art in New York. ''At a moment when many architects are interested in history, this is a rare house to hit a note of authenticity and not simply stylistic revival. The architect knows the traditional language of architecture and deploys it quite well, and also knows when to slow down.'' We believe the statement aptly describes the philosophy behind our work. Stott Architecture aims to deliver functional, attractive, environmentally-friendly buildings that fit the site and surrounding styles. Contact us today and learn more about 3-D renderings! A hard-edged modernist ideology and clean, serene spaces with a flair for elegance and a distinct sense for comfort. AWARD WINNING ARCHITECT FOR 35 YEARS In 2015 Bruce Nagel was selected as one of the permanently inductees into DAN'S PAPERS - "BEST OF THE BEST HALL OF FAME" as the best architect in the Hamptons after winning this award each year for the past 20 years. Each residence is a unique project, because we place primary emphasis on a client-related solution, on its particular fit and suitability. As an initial step, we request our residential clients to record a written program describing their goals for the project and eliciting their wants and needs in as much detail as they wish. While this program is inevitably altered in the course of working out a solution, the particular tenor of my client's initial program remains a keynote throughout our design process. We want each project to acquire through this program keynote a strong, clear idea, which is consistent with its organization. We strive thereby to functionally satisfy our client's detailed needs and to give them something more, something that only architecture can give them, as well. In our original work on new projects, we have a strong design aesthetic, but we are also particularly respectful of existing vocabularies in performing remodelings, where we direct our efforts toward producing sensitively integrated designs. We will design a house on all levels, from its site to internal details and appointments, and an interior from its general layout and design to the selection of paint colors, fabrics and furnishings. While we prefer in doing so to provide my clients with full-services from program analysis through design, specification, contract negotiation and the finish of construction administration and interiors, we are prepared to offer limited services suited to a particular project. 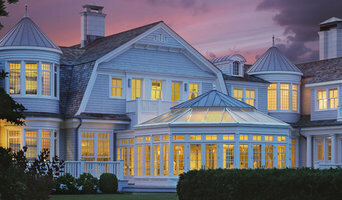 Our work includes country houses and year-round residences, beach houses and other second homes, extensions, interior remodelings, apartments and townhouses ranging from the very small to the very large and located not only from Manhattan to Montauk, but in Connecticut, New Jersey, Washington, D.C. and beyond. Ultimately, as our philosophy states, no matter how large or how small are my residential projects, or what type, or where they are located, we strive to have happy clients who like their homes and use them well. Nicholas A. Vero, Architect specializes in residential and small commercial architectural design. We provide services to the New York, Long Island and surrounding areas. A truly one-on-one, personalized approach to creating the space of your dreams. Pam delivers more than a set of plans; she will incorporate your needs and lifestyle to create a unique and artful design. Pam's philosophy is not one of "pin the house on the property" but one that incorporates the characteristics of the property with a beautiful design that is functional. Full service Architectural Design. Specializing in construction supervision which will insure correct execution of the design and quality of the construction. Pam and her team will take care of all the design elements from start to finish so all you need when you move in is your toothbrush. Scope includes: custom homes, restaurants, small commercial buildings up to 12 stories, offices, retail space, schools and hospitality. Pam Glazer’s work is characterized by a cluster of elements – clean lines, bold use of color and your particular needs. A triathlete as well as an architect, Pam’s athleticism is in evidence through her positive and highly energetic approach to understanding how you live and delivering on your ideas and dreams. She is an executor par excellence, who will remain involved in your project until the last detail is in place. Pam also cares about your larger surroundings. She is LEED certified and a member of Long Island Green. Responsible environmental behavior is built into all her work. Pam does it in a way that doesn’t call attention to itself, but is rather seamlessly integrated into to the layout and construction of all her work. Murdock Solon Architects is a mid-size inter-disciplinary firm well versed in the challenges and opportunities that building construction projects in the New York Metro Area presents. Specializing in modern residential architecture, we create elegant solutions and manage every step of the project from initial design and planning to construction and final completion. Michael Smith Architects (MSA) was initially founded in 1999 by firm principal Michael Smith. Mr. Smith worked as a project designer and architect for 12 years under well-known Westchester County architect Richard Henry Behr where he eventually became Vice President and Director of Design for the firm. Mr. Smith has designed a wide range of high-quality projects including large single family custom residences, boutique commercial projects, educational facilities, and multi-family residential projects. MSA and its current staff have over 15 years of experience in a diverse range of projects focusing primarily on highly customized residences in the New York City metropolitan area. Michael Smith Architects views each project as client specific and works to create custom solutions that respond to the client's wishes, the environment, and the historical context of the project. The underlying design philosophy of the firm centers around the idea that the careful application of the design principles of simplicity, consistency, and authenticity will yield a timeless work of architecture regardless of the style or type of building. In addition, through its membership in the United States Green Building Council, MSA strives to incorporate sustainable or “green” features wherever possible in a seamless and harmonious way. Our residential architectural practice focuses on the people. The architectural style that emerges is driven by the conversations with our clients, not by our stylistic biases. Anne Surchin's full-service firm specializes in new residences, renovations/additions, and historically-correct restorations. She has been practicing architecture in the area for over 35 years. Michael LoBuglio Architects, located in Newtown, CT, is an energetic and dynamic architectural firm that balances modern design principles with traditional and classical designs. The firm has completed a wide range of projects from waterfront estates and major additions, to modest renovations. The projects have included kitchen and bath remodels, porches and porticos, custom interior built-ins, and a variety of outbuildings, including pool and guest houses, barns and garages. The principle of the firm, Michael LoBuglio, has been a licensed architect in Connecticut since 1990, and is a member of the American Institute of Architects. He graduated from the Virginia Tech. School of Architecture in 1986. His early experience spanned many facets of the residential architecture field, including working for an engineering and surveying company, a design/build firm, and a few architectural firms. With the experience gained from his early career, he founded Michael LoBuglio Architects in 1999. His ability to listen to his clients' needs, collaborate with them on the designs, and ultimately transform their ideas into reality, has resulted in more than 90% of his projects coming from former clients and their referrals. Several of Michael's designs have garnered HOBI awards from the Home Builders Assoc. of CT, and his work has appeared in Greenwich, Westport, New Canaan, and Darien Magazines, Beautiful Bath Magazine, New York Daily News "Home of the Week", Modern Estate Magazine, and Who What Where - The Magazine. ORA studio was founded in New York in 2001 by Italian architect/designer Giusi Mastro and associates, with the mission of challenging the boundaries of design in architecture. New York Architect Best of Houzz 2014, 2015, & 2016! Architecture and Town Planning Firm. High end custom waterfront residential architecture. George Penniman Architects LLC has provided its clients thoughtful, thorough and responsive solutions to a wide range of architectural challenges since 1993. 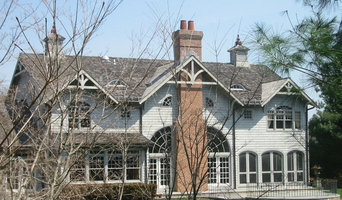 Completed projects in New York, Connecticut, Rhode Island and Massachusetts, range in scale from small additions to significant estates. Our ultimate goal is to create a home for our clients to enjoy for many years. One that reflects the client's tastes and style while meeting functional, budgetary and aesthetic requirements. Jonathan S. Foster, R.A. LEED AP. East Hampton's Award-Winning Architectural Design Services | BOH! Jonathan Foster RA, LEED AP is a multi-disciplined architect with diverse capabilities and comprehensive experience in building, design and aesthetic problem solving. We strive to find a balance between the home, the surrounding landscape, and the lifestyle and preferences of the people using the building. Our goal is to design homes that exceed your expectations. Architectural Designs makes building your dream home affordable by providing pre-drawn house plans at great savings to custom drawn plans. Our portfolio grows daily and, at 27,000+ plans, covers the full gamut of design styles. We can modify any plan to suit individual needs, and can provide engineering and custom drawn plans too. Founded and directed by Howard Spivak since 1986, Spivak Architects has taken a unique and dynamic approach to the interrelated disciplines of architecture and urban design. We are award winning architects specializing in exceptional coastal homes throughout the East Coast. For more than 25 years, our small design studio has been dedicated to providing highly individualized design services to individuals and families who want to create an enduring and memorable gathering place for their family and extended family. Our architecture and interiors are responsive to our client’s expectations and no two clients are alike. We approach each project without preconceptions. A key design philosophy of ours is to “work from the inside out and work from the outside in.” Thus indoor rooms become outdoor rooms that merge with the landscape and seascape. Michael McKinley and Associates, LLC has designed homes, renovations and family compounds in well-known coastal communities such as Watch Hill, Weekapaug, and Shelter Harbor, Rhode Island, Greenwich, Stonington and Guilford, CT and Vero Beach, FL. Our office is distinguished by our ability to provide clients the very individualized attention of a small office and the technical expertise and high-level design found in a large metropolitan firm. We offer full project management and serve as a single point of contact for permitting, engineering, landscape, bidding and construction management. We also take pride in introducing our clients to the highest quality builders, craftsmen and artisans. Principal Architect, Michael McKinley, AIA a graduate of the Rhode Island School of Design, established the firm in 1989 after working as lead designer at several internationally known firms in Boston and New York. He is the lead designer on every project and meets with clients throughout the entire design and construction phase. Michael McKinley is licensed in Connecticut, Rhode Island, New York, Massachusetts, Florida and New Jersey. Doyle Coffin Architecture has been providing exceptional architectural design services to residential and commercial clients throughout Fairfield County, New York and Greater New England for more than forty years. We are based in Ridgefield, Connecticut with two partners and an overall staff of eleven, including the firm’s founding partner, David D. Coffin. At Doyle Coffin Architecture, we believe in timeless architectural design that appeals to the heart as well as the mind. We work in partnership with our clients to realize their dreams and create structures that combine beauty and function in a style that is contextually appropriate for its setting. Distinctive architectural design supported by professional, intelligent and comprehensive service is our core focus. We bring the same respect for tradition, attention to detail and collaborative client relationship to every project we undertake, regardless of scale or type. Our recent work includes large and livable custom designed new residences as well as harmonious additions and renovations to existing homes. In all cases we strive to exceed the client’s expectations with regard to architectural design and level of service. 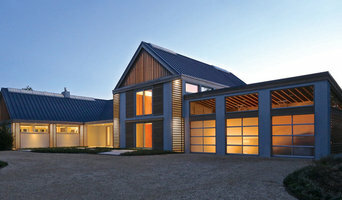 The Hamptons Award Winning Architecture Firm - Best of Houzz! 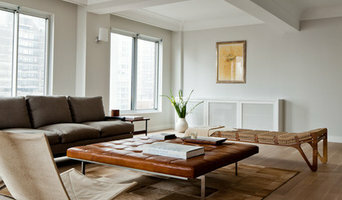 We are a boutique Architecture Firm located in NYC's Meatpacking District. Best of Houzz : 2019, 2018, 2017, 2016, 2015, 2014, 2013 As leading architects in Westport, CT, we specialize in stylish, creative and efficient new custom home design, home renovations and additions, throughout Fairfield County, CT and beyond. We have expertise in renovations plus custom waterfront architecture and design, utilizing our close partner relationships to create a smooth approval and building process. At every stage a senior partner will work closely with owners to create their custom dream house or place of business. We have won Best of Houzz for 7 straight years, as well as many other awards. We are known for our modern, stylish designs filled with creativity, warmth and abundant natural light. Simplicity of detailing, clean lines, open and airy rooms, sustainable, low maintenance materials- these are the trademarks that define our work and our reputation. Sellars Lathrop Architects believes that collaboration is the key to a successful project. We are committed to a team oriented approach in all phases of the design process. It is important to have close communication with consultants, the building contractor and subcontractors, plus client involvement, to insure the success of an outstanding design that meets the budget. Aside from our expert knowledge of navigating the building and approval process, we can take the clients "wish list" of ideas and elevate them into a design uniquely tailored to their site, personal and business needs. Established in 1998, Martin Architects provides licensed architectural and engineering services, interior design, and construction administration. We create "organic modern architecture with a soul". For more 25+ years, we have been dedicated to providing highly individualized design services to individuals & families who want to create an enduring & memorable gathering place for their family. Serving all of Fairfield County, CT, Litchfield County, CT and surrounding areas, Daniel Conlon Architects creates distinctive homes uniquely suited to the wishes of the Client and the demands of the site. The Firm prides itself with many years experience and expertise in managing the unique challenges of Waterfront Design and Construction. Because every project presents a different set of circumstances, founder Dan Conlon has consciously avoided the development of a signature style. "There is no single vernacular or set of details that are appropriate for every project. What is important is the clarity of the design, the relationship of the building to the site, the organization of the living spaces and the crispness of the architectural detail," he explains. Dan personally oversees every project from concept to completion, combining creativity and the expertise of his skilled staff to deliver the best in design and client service. Dan's background in construction, coupled with a rigorous theoretical architectural education from Cornell University, has reinforced the importance of taking pride not only in the firm's design work, but in every phase of the relationship, from the quality of their construction drawings to their management of the municipal approval and construction processes. Bringing thirty years experience, Daniel Conlon Architects has provided quality architectural services for discriminating clients. The vast majority of their work has come through client referral, with many returning time after time. The firm has undertaken commissions ranging from modest additions to new estates with multiple buildings. "Ultimately we measure our success by the satisfaction of our clients," Dan says. With every project our goal is to give architectural form to our clients' ideals and aesthetic values. We have refined our design process to better engage our clients in this imaginative process. How do I find the best East Quogue architect for my home design project? It is best to hire a home architect who will be involved in all phases of the design process, from the initial concept to the completed construction. The architect is often the first person you will hire for your project. If necessary, they might also help you select and hire New York subcontractors, which can include the builders, engineers and landscaper. Interior architects are also involved in negotiating contracts for all involved participants. It is for these reasons that it is extremely important for you to have a good relationship with the East Quogue residential architect you hire. He or she can be the tie-breaking vote between you and the general contractor and can be your biggest advocate during the construction process. Different architecture firms in East Quogue, NY provide different services, so the scope of the work can span from pre-design environmental impact studies to selecting furniture and finishes, depending on what your specific needs are. It is very important to hire the right professional for the job. Remember that the most well-known or established designer might not provide the best architectural services for your needs. It all comes down to the individual project. Research and ask people whose work you like for recommendations. It's important to have somewhat of an idea of the style of house architecture that you prefer, as well as the amount you would like to spend. Residential architects in East Quogue, NY are natural problem solvers. They will assess the entire situation and help you to solve your problems too. Don't settle for a single company too early. Call and interview a few. Make sure that you feel like your personalities will mesh well and that you like their professional perspective. Find a home architect in East Quogue, NY on Houzz. Narrow your search in the Professionals section of the website to East Quogue architects. You may also look through photos of New York projects to find interior architects and building designers who have worked on a project similar to yours.